Dragon Ball fandom was alive at Anime Expo 2012, and the cosplayers were there to prove it. From baby Vegeta to Kame Sennin, a wide range of characters were represented and they all looked great. I took over 700 pictures and narrowed it down to the best. So let’s jump right into the Dragon Ball cosplay of Anime Expo 2012! Mister Satan and Super Saiyan Goku Fusion! The Prince of All Saiyans Has Awakened… From His Nap!! The Ultimate Warrior is Born – Derek Fuses with Goku and Becomes… Deku! One Step Closer to Eternal Youth! Isn’t that baby Vegeta adorable? Everybody loved him. Have you ever wondered what would happen when the world’s strongest warriors get together and fight it out? 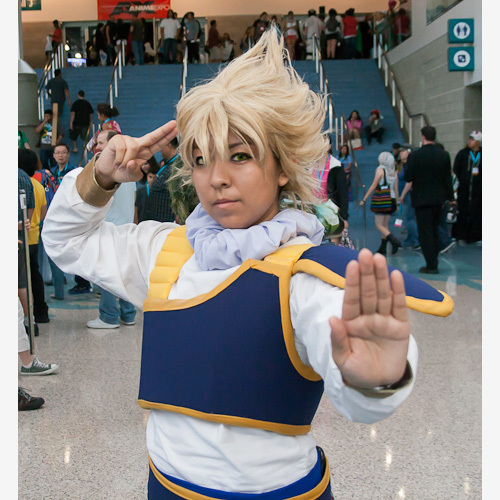 Check out Part 2 of the Dragon Ball cosplay gallery from Anime Expo and discover for yourself!